Prompt defibrillation and CPR are the best chances of survival following an incident of sudden cardiac arrest. Louis Acompora tragically lost his life following an episode of commotio cordis that caused his heart to stop. His death could have been prevented by the use of an automated external defibrillator (AED). 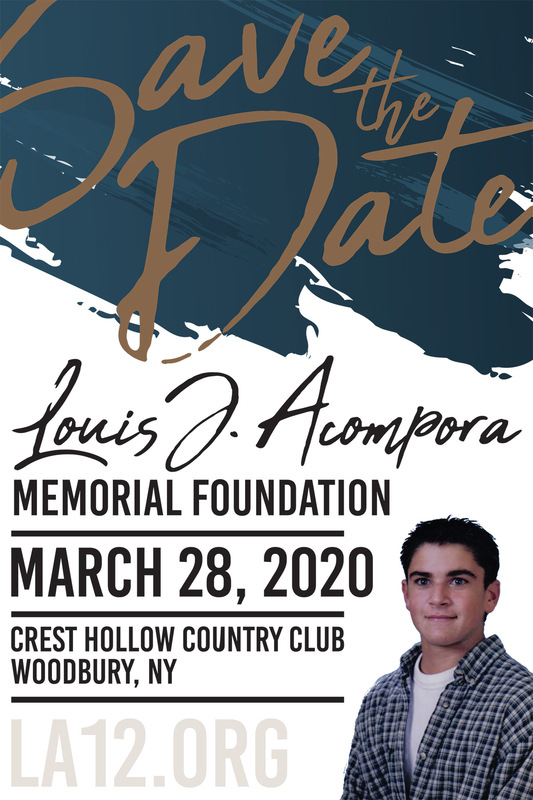 The goal of the Louis J. Acompora Memorial Foundation is to have AEDs present at schools and other locations where sporting events take place. For a free kit on how to implement a CPR-AED program, you may fill out a request online. Simply training people in CPR and purchasing automated external defibrillators (AEDs) for the school cannot guarantee lives will be saved. A system must be designed that includes well-trained rescuers, strategically placed AEDs to facilitate rapid deployment and continuous monitoring of the program to ensure its effectiveness. Leadership that designs and monitors the program to ensure quality. This includes a task force coordinator, medical director, and CPR-AED educator. Develop an AED Task Force. 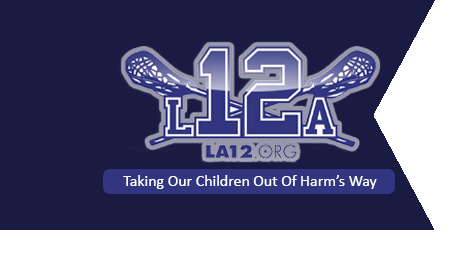 Secure funding for the program. Select and purchase equipment for the AED program. Place AEDs every minute of a brisk walk throughout the school. Place AEDs near phones so that 911 or the central office can be called when an emergency occurs. Consider bringing AEDs to athletic fields for offsite activities. Select rescuers through the use of a survey. Train rescuers in an approved AED program. Develop an emergency action plan for onsite and offsite activities. Orient staff and students to the emergency response system. Place posters and/or phone stickers to remind students, staff, and visitors how to activate the system. Develop protocols that define the actions of rescuers in an emergency. Monitor and improve the system using drills. The first and most important step in the development of a CPR and AED program is the formation of a task force on early CPR and defibrillation. A school-based task force would typically consist of representatives from the school and medical community. When developing a task force, smaller is better. A task force that consists of a large number of members is likely to get bogged down in discussion and debate, a potential barrier to efficiency and effectiveness. A small task force of 5 or 6 members including a task force coordinator, medical director, CPR-AED educator, device coordinator, school administrator, and a few resource personnel is more than enough to handle the implementation issues. Task Force Coordinator – The individual who will oversee both the implementation and maintenance of a CPR-AED program. This may be a school administrator, department chairperson, or other individual who is motivated to assume this role. Members of the physical or health education staff or school nurse might be good candidates for this position. Making sure after the event that the quality assurance form and AED download is sent to the local EMS system and the medical director for review within the time period required by the local EMS system. Medical Director – A physician who is an expert in emergency cardiac care who will oversee all medical aspects of the CPR-AED program. Ideally, a regional physician should be selected who can provide guidance on the development of the program and continually monitor the quality of care. Physicians are often emergency physicians or cardiologists affiliated with the local hospital or EMS system. Many emergency physicians are more than willing to assume this responsibility since early defibrillation plays such an important role in the survival of patients who will ultimately be under their care. Device Selection and Maintenance Coordinator – A school staff person who will facilitate the purchase and maintenance of the AEDs used at the school. This member should be someone who has experience in business transactions and is capable of ongoing monitoring and maintenance of devices. School maintenance personnel may assist in this process. This role can also be assumed by the Task Force Coordinator. Members should be well oriented to the process prior to the first meeting. This manual can be sent out in advance to lay the foundation of understanding regarding a CPR-AED program. Feel free to copy this manual as needed to achieve this goal. School Administrator – An assistant superintendent, assistant principal or department chairperson who will provide administrative support for the project and serve as a liaison with key groups in the school or district. Athletic Coordinator – The school athletic director, physical education department chair, or coach who will provide leadership for the development of CPR-AED activities during athletic events. The Task Force Coordinator should contact the local hospital or EMS system to recruit a medical director and a CPR-AED educator for the project. The local director of the hospital’s emergency department or the EMS system medical director are usually informed about this type of program and may volunteer or direct you to the appropriate person. Or there may be a physician who works for the school district who can assume this role. Invite these individuals to serve on the task force and set a date for the first meeting of the task force. Recruit the other personnel from the school system. Try to keep the process simple. It should take no more than four or five meetings to get the project up and running. Thereafter, the task force may have to meet once or twice a year to keep the program on track. Prior to the first meeting, the Task Force Coordinator should meet to formulate an agenda for the first meeting. Download a sample agenda. The first meeting should be devoted to orienting the task force members to the concept of CPR-AED programs, developing a budget, and assigning members responsibilities. These initial responsibilities will include identifying a funding source, arranging a meeting with AED manufacturers, performing a “walk through” of the facility to plan AED placement, developing a protocol, and designing a first draft response system for the program. The coordinator and medical director should carefully explain these functions. During the development phase of the project it is critical to remember that “success is in the details.” Attention to detail is critical at every phase of development. Rescuers must be selected that are available throughout the workday in the school and can respond immediately when an emergency occurs. How will a student or staff person who is not trained activate the system? How will the rescuers be alerted to assure a timely response? Where will the AEDs be placed to ensure easy access and rapid response throughout the school or athletic field? How will rescuers be trained to assure the appropriate performance of lifesaving skills when they are needed? How will skills be refreshed to ensure long-term retention? These are all critical issues that must be considered by the CPR-AED task force during program development. O’Hare International Airport in Chicago represents one of the most successful PAD programs developed to date in the United States. The planners at O’Hare meticulously designed and implemented each component of the PAD program to assure a timely response, effective performance of rescuers, and rapid activation of the EMS system. The results were extraordinary: a survival rate of 70% for victims of cardiac arrest due to ventricular fibrillation. Compare this to a national survival rate of approximately 5%! What factors made O’Hare so special? First, they carefully placed AEDs every minute of a brisk walk from any location throughout the airport facility. This assured that an AED was never more than 2 minutes away from a collapsed victim “roundtrip.” Second, they placed defibrillators in highly visible locations near restrooms so that they would be easy to find during an emergency. They were placed in boxes that, when opened, automatically summoned the airport police to assist in the rescue. Third, they trained over 2,000 airport employees in CPR and use of an AED. In spite of this, visitors who were nurses, doctors, and EMS providers traveling through O’Hare performed 55% of the resuscitations. Needless to say, this was an extraordinary effort that has set the standard for optimal PAD programs. Programs in the school setting need not be so comprehensive or complex, but they would be well served by modeling some common principles. The remainder of this manual will describe the key components needed to design, develop, and implement an effective PAD program. This model is not presented as strict dogma for PAD programs, but rather a template to be used and modified according to the needs of a specific facility. The AEDs should be placed within 1 minute of a brisk walk from any location in a facility (or approximately 2 minutes round trip from a collapsed victim). For athletic and other outside events, the AED may be transported to the event by school staff. Consideration should be made to include an AED as part of your athletic team equipment, which would be brought to the field by the athletic director or coach on practice and game days. The AED should be placed in a visible location so that rescuers will always be able to locate the closest device. When possible, an AED should be located near a phone so that the EMS system can be activated simultaneously with the retrieval of the AED. To select the appropriate locations, the task force can review a floor plan for the facility and then conduct a “walk through” to estimate a retrieval time for the device from any location in the facility (See Figure 4). The point of this approach is to minimize the time from collapse to defibrillation. Since every minute that passes decreases survival by 7-10%, this model sets a goal of 60-90% survival depending on the location of collapse in the facility. This includes time for assessment of the victim, retrieval of the AED, and use of the device. Obviously, there are other possible variables that may decrease the probability of survival, including the delayed discovery of the victim, the need for a single rescuer to call 911 and use the device, and other variables beyond the control of the plan. Once again, this model was used in O’Hare International Airport and resulted in a 60% survival rate. The placement of a device may be affected by other variables. Some schools are concerned about the conspicuous placement of AEDs for fear of vandalism and theft. Using a wall storage case that sounds an alarm when opened can help alleviate this problem. Some wall storage cases have also been wired to activate the local EMS system upon opening. The task force, after considering all these and other issues, can determine the specific configuration. However, placing a device in a locked case or in a hidden location is strongly discouraged since it may cause a delay in the application of the device. Athletic events may require additional organization. Since the athletic field is often a distance from the school building, the AED may be brought to the event site. This is particularly important when events are attended by a large number of persons. When possible, coaches, trainers, and referees should all be trained in CPR and use of the AED. This is important since these individuals will be in the immediate proximity to emergencies that occur on the field or in the stands. A location for the AED to be placed at the event. This may include an AED that is placed at the entrance of the building near the athletic fields or an AED that is carried on the field during the event. A method for quickly retrieving the AED following a collapse. This might include a designated person (trainer, coach, etc.) who would be responsible for retrieving the AED when a collapse occurs. The configuration of the emergency action plan on the athletic field should be developed by the AED task force in conjunction with the athletic director or athletic department chair. The exact method used in the plan depends on many factors including the size of the facility, number, and type of personnel, and the number of AEDs available at the facility. Download an Emergency Response Plan here. The selection of an AED should be done in cooperation with the program medical director in order to select a device that meets the operational, quality assurance and cost specifications of the program. There are only a few brands and models of AEDs available in the marketplace. These devices are extremely similar in their operational steps, size, weight, and cost. There are slight differences in the methods used to analyze data following the event. Most AEDs have the ability to retrieve computer data following the cardiac arrest event. The method through which this occurs differs from unit to unit. It is critical for the medical director to consider the approach that he or she will review “event data” since it is an important part of the quality assurance process. The event log from an AED typically provides the medical director with the following information: when the device was turned on, what the presenting heart rhythm of the victim was at the time of cardiac arrest when the first shock was provided, and what the subsequent heart rhythms were prior to the arrival of EMS. These events are then used by the medical director, along with information from the rescuer, to evaluate the effectiveness of the system at the school. If there were delays in deployment or inappropriate actions based on the data, the medical director can refine and improve the response system. This is also a very important medical-legal documentation. Sales personnel from the major manufacturers can be invited to a meeting of the task force to provide presentations on the benefits and cost of their device. If several devices are being purchased in a given school district, it may be possible to negotiate a reduced price with the manufacturer. Other equipment will be needed to implement the AED program. This includes face shields and/or mouth-to-mask devices, razors to shave the chest of victims with excessive chest hair, towels, extra sets of electrode pads, spare batteries, and the accessories needed to perform CPR and operate the AED. Selection of individuals who will serve as rescuers for the program should occur early in the development of the program. Rescuers should be selected based upon their location in the facility, ability to respond throughout the workday, physical ability to perform CPR and other rescue skills, and willingness to serve as a rescuer. In the school setting, there are also special considerations related to extracurricular activities. For example, AEDs may be needed at major sporting events, assemblies, theatrical productions, and meetings that are held at the school. To meet these objectives, maintenance personnel, coaches, music and theater teachers, and other special event coordinators should be trained to serve as rescuers. To facilitate the selection process, a survey can be sent to school staff that identifies the key issues related to serving as a rescuer, including their willingness to participate. Download the survey here. The task force can then review the returned surveys and select the best rescuers for the program. As a rule, it is better to have several rescuers in each location of the facility or sports venues. This will account for holidays, sick time, staff turnover, and other factors that will deplete the response system of rescuers. The skills needed to serve as a rescuer for a CPR-AED program include rescue breathing, use of a mouth-to-mask device, CPR, relief of foreign body airway obstruction, and use of an AED. These skills can be taught in a 4-hour course available through the American Heart Association (AHA), American Red Cross (ARC), National Safety Council (NSC), or American Safety and Health Institute (ASHI). The program medical director should be able to assist you in identifying local trainers to achieve this goal. Often sponsor training personnel are available at local hospitals. Since the skills that are learned are used so infrequently, it will be important to have regular drills at the school to ensure the retention of knowledge and skills. There is no set interval for this activity, but drills every 3-6 months represent the standard use in most CPR-AED programs. After the initial development of the program, it is helpful to conduct several drills to test the effectiveness of the model. A manikin can be placed at random locations in the school and the system can be activated and timed. Rescuers skills can be evaluated and the system can be modified as needed, including rescuers reinforcement. This will require the cooperation of the CPR-AED educator and the medical director to ensure appropriate evaluation and feedback. Rescuers are recommended to renew their CPR-AED certification approximately every two years. Schools that are committed to CPR-AED programs may choose to train their own basic life support (BLS) instructors through the local American Heart Association training center. This will allow a reduction of the long-term cost of the program and permit the training of students in CPR and use of an AED. There is a national school-based program sponsored by the American Heart Association that is specifically designed for middle and high school students. This model includes the training of several teachers at the school as BLS instructors. These teachers can then integrate CPR and AED training in their health and physical education programs and train staff at the school as rescuers. A self-sufficient school-based program can make the implementation of CPR-AED strategies much simpler to develop and maintain. The development of a “CPR in the School” program can also create an ongoing relationship with the local hospital and EMS system, creating a partnership that can help during career days and provide opportunities to educate students in the field of healthcare and EMS. Many programs have sponsored field trips to the local hospital and EMS communication center as a “real life” orientation for middle and high school students. This relationship is also helpful when an emergency occurs at a school that requires an interface with the local emergency department. Protocols must be developed that clearly provide instructions to occupants of the facility in the event of a victim collapse. This protocol should define how the CPR-AED system at the school is activated, the importance of calling 911 immediately, how the first arriving rescuers on the scene should coordinate resources, and procedures for follow-up after the victim has been transported to the hospital. An internal response system for the school must be developed and all students and faculty must be oriented to the system. Once again, time is the critical variable in cardiac arrest. Bystanders who discover or witness a collapse should be instructed to call a central number at the school where rescuers can be alerted to the event and 911 can be called. Bystanders and rescuers should always be certain that 911 has been called early to ensure a rapid EMS response. In a school, it may be wise to make the administrative office the initial point of contact in an emergency, except when it involves an offsite activity such as a sporting event or a nighttime activity when the administrative office may not be staffed. During the day, the administrative office can alert trained rescuers via the public address system or by telephone if appropriate. Rescuers can be advised as to the location of the collapse and respond immediately. To maintain the confidentiality of the event, it may be necessary to involve the use of codes such as “code blue in the south first-floor corridor.” This will alert all CPR-AED rescuers to the location of the event while maintaining some level of confidentiality. Students and staff in the school will need an initial orientation to the system and some reminder on how to activate the system. An assembly that stresses the importance of immediate notification of the administrative office can be effective, along with presentations at faculty meetings. It is also helpful to place posters in classrooms and auditoriums as a reminder of actions to take during an emergency. Some facilities have also placed stickers on phones as a reminder. These measures will also be helpful for the visitor who will not have been oriented to the response system. Once again, it is critical to stress the importance of an immediate call to 911. Administrative office staff will also require a comprehensive orientation since they will often be receiving the call for help. They should be provided with specific written instructions on how to alert rescuers and the local EMS system in the event of a notification of an emergency at the school. Rescuers should be oriented to the emergency response system and follow a specific protocol that defines the roles of the first and subsequent responding rescuers. When the first rescuer arrives on the scene, he or she should immediately instruct someone to activate the response system and retrieve the AED. That rescuer should start CPR until the AED arrives. Check to see if the victim is unresponsive. Direct someone to call 911 (or call if you are alone). Direct someone to retrieve the AED. Apply the AED as soon as a cardiac arrest has been confirmed and the AED arrives on the scene. As mentioned previously, AED programs require attention to detail. This includes the quality of the system that is organized, rescuers trained, and ongoing maintenance of all elements. This is especially true for the AED. AEDs must be checked regularly according to the manufacturer’s recommendations. Fortunately, AED checks are simple and all AEDs have a self-test that can determine the readiness of the device. The battery life of AEDs is approximately 5 years (if not used). The disposables must also be checked regularly. AED pads have an expiration date that must be monitored. Drills should be conducted on a regular basis to assure that the system is working properly and that rescuers retain key lifesaving skills. There are many methods for refreshing skills including video review, computer interactives, and peer practice. Again, there is no set interval. However, most AED programs use 3 to 6-month reviews. Good luck in the development of your AED program and be thankful for acquiring the most important skill an individual can possess — the ability to save a human life. Take a moment to review the summary of the steps above needed to develop an “AED in the School” program.